BTS never seem to slow down. Whether it’s stadium tours, addressing the UN, or becoming the first K-Pop band to be nominated for a Grammy, there’s always something massive and groundbreaking on their horizon. That’s not including the records they’ve broken on YouTube, or through album sales, or in the US charts. 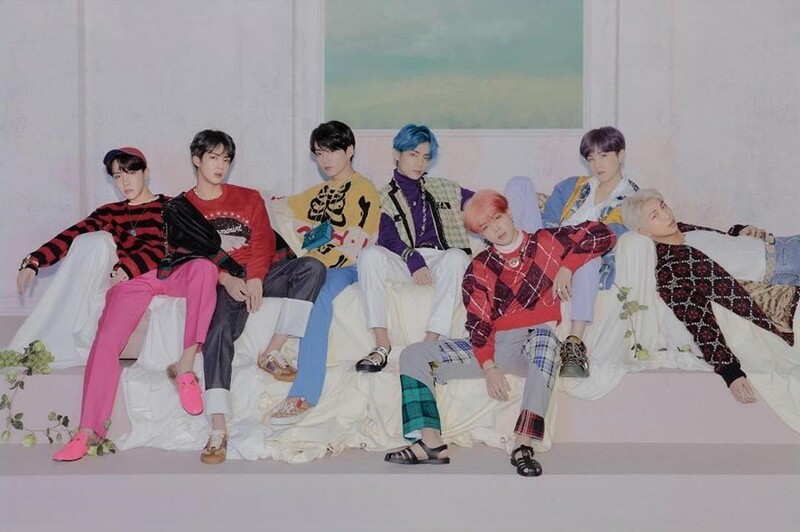 It’s not really a surprise, then, that BTS are continuing their musical output with their first record of 2019, Map of the Soul: Persona, which follows their expansive Love Yourself project. Since the South Korean boy group are so unimaginably successful, it’s also no surprise that they’ve worked with a couple of big names on the new seven-track EP. Ed Sheeran, for example, has a credit on the track ‘Make It Right’. But it’s Halsey who has the bigger role on the record, featuring on ‘Boy With Love’ (a reference to one of their earlier songs from 2014). It’s an upbeat, summery bop, and to go with it there’s an appropriately bright video with candy colours and neon visuals. (And yes, it’s already blown up, with over 87 million views in under 24 hours. Is that a new record, again? I’ve lost track.) Watch below.